The catch phrase lately is that sitting is the new smoking, however, I must disagree with this assumption inasmuch as standing can be just as detrimental. The idea is not to just avoid sitting, but to increase motion. A height adjustable desk can be a great thing; but it does not, in and of itself, promote better ergonomics or better health. It is sedentary behavior that is detrimental in any posture, good ergonomics or not. So, it is better stated that sedentary is the new smoking, and a good sit/stand desk is part of the solution. 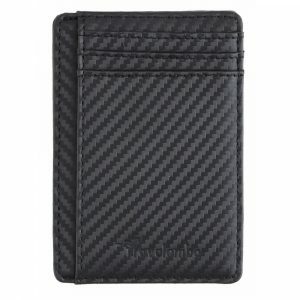 Any change can be worthwhile, but it must accommodate your specific needs. With specific conditions, you should discuss the option with your health care provider. For instance, if you have knee arthritis, how long can you stand? Will periodic standing be beneficial? Same with back pain conditions; standing can be beneficial, however, in some instances standing will be worse, or getting from the sitting to standing position can be very painful. It is true that sitting places more pressure on bulging or herniated discs, but the specifics of your particular condition should be discussed. This also applies to any dizziness or blood pressure issues. So, we are not looking to subscribe to any fear mongering regarding “sitting is the new smoking”. We do want to decrease our sedentary behavior, if possible, in a reasonable manner. 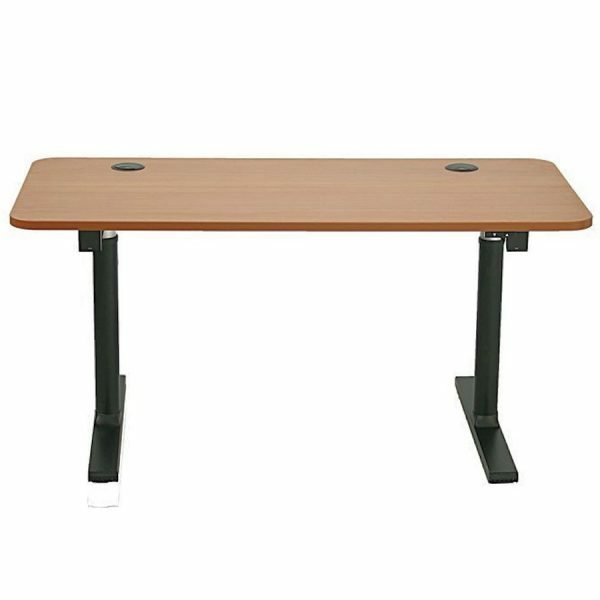 The height adjustable desk will not automatically place you in the best ergonomic position, you must be educated on the basics and apply them to both sitting and standing. 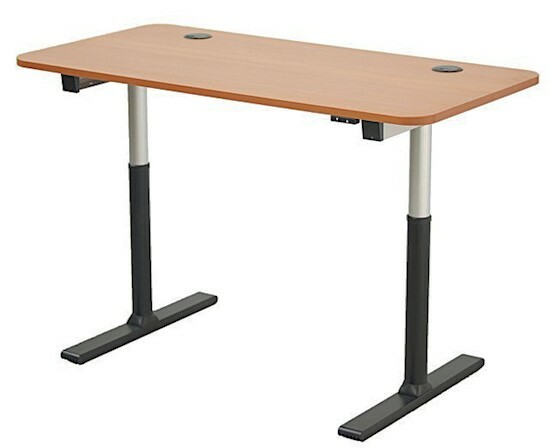 With everything considered and a commitment to a sit stand desk, this is one of the best. It requires the least amount of effort and is a total desk solution as opposed to the converter models. In many situations, a converter model is just fine and can be the best economical choice. The two tier system promotes good ergonomics. 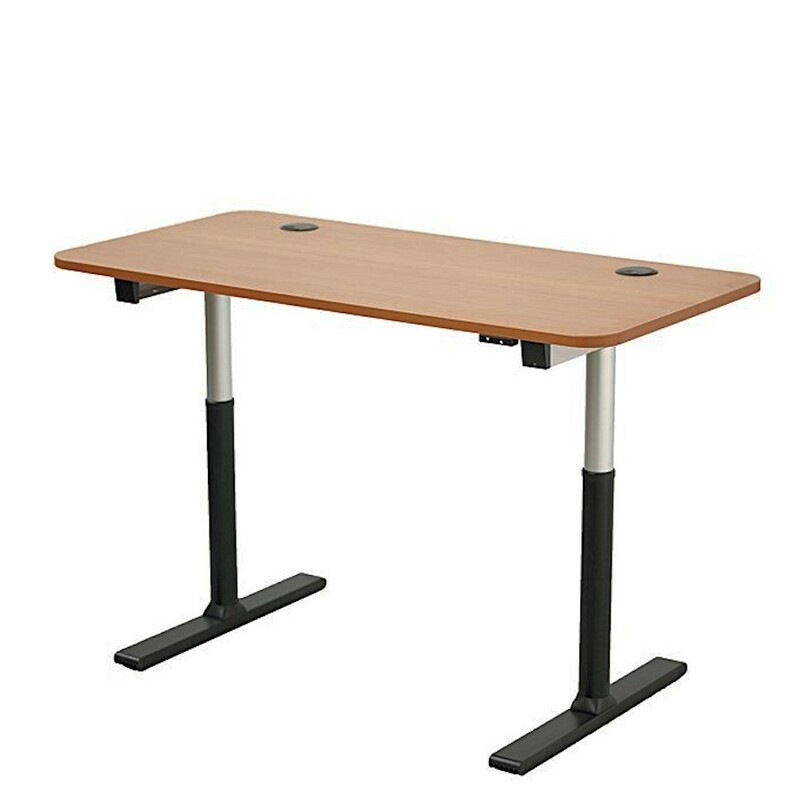 However, some desks do not have enough space, or they have compartments or additions to the top that make placing a converter sit stand desk impossible. 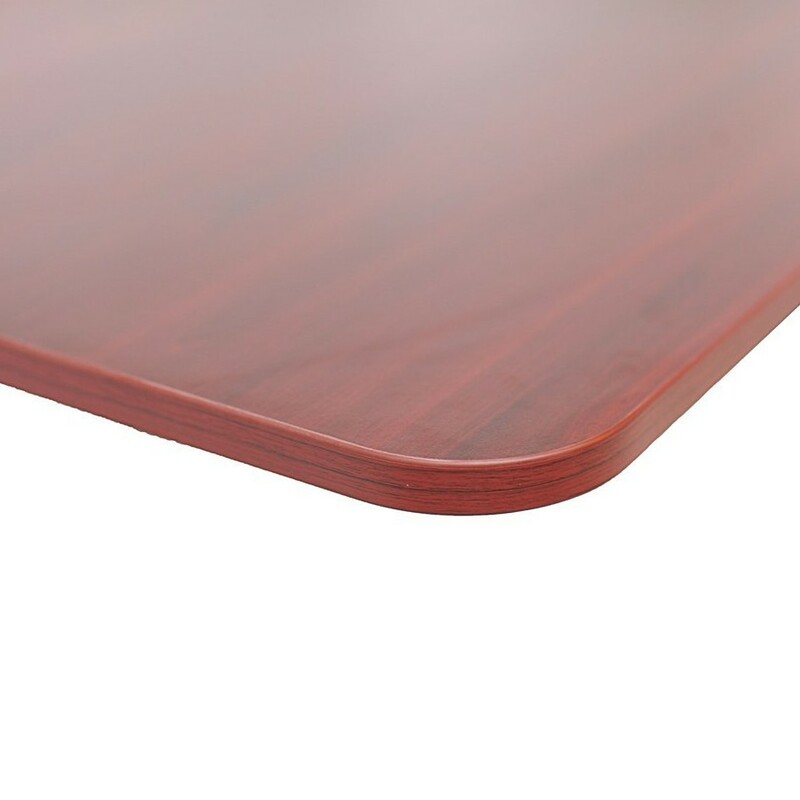 The Apex Vortex series is a full electric standing desk. It is not a converter. 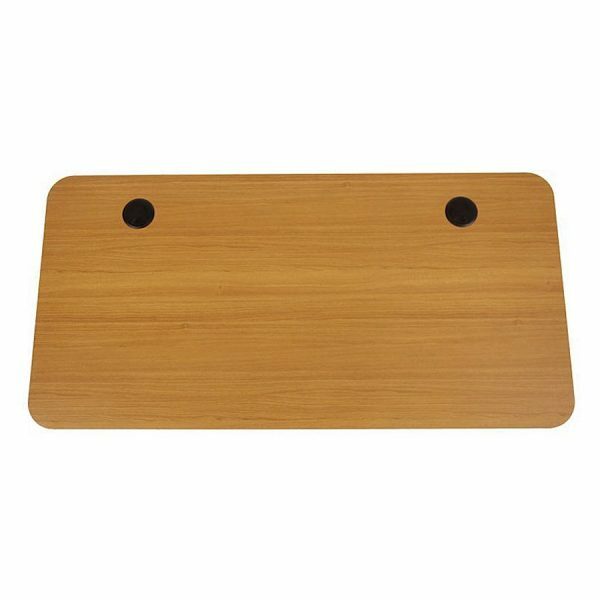 All sit to stand desks wobble somewhat when at full height. One way some have tried to solve this is using a crossbar, however, this may interfere with leg room, depending upon the users chair and body type, and room if you store or use anything underneath. 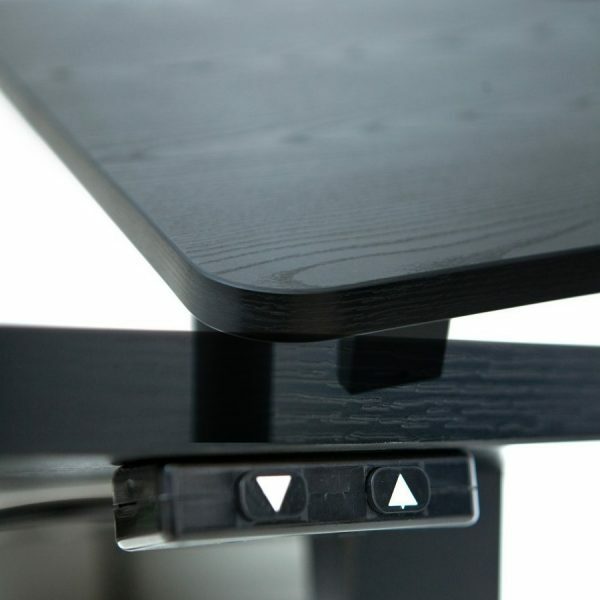 The desk instead uses a bearing which is synchronized with desk motion to improve stability. 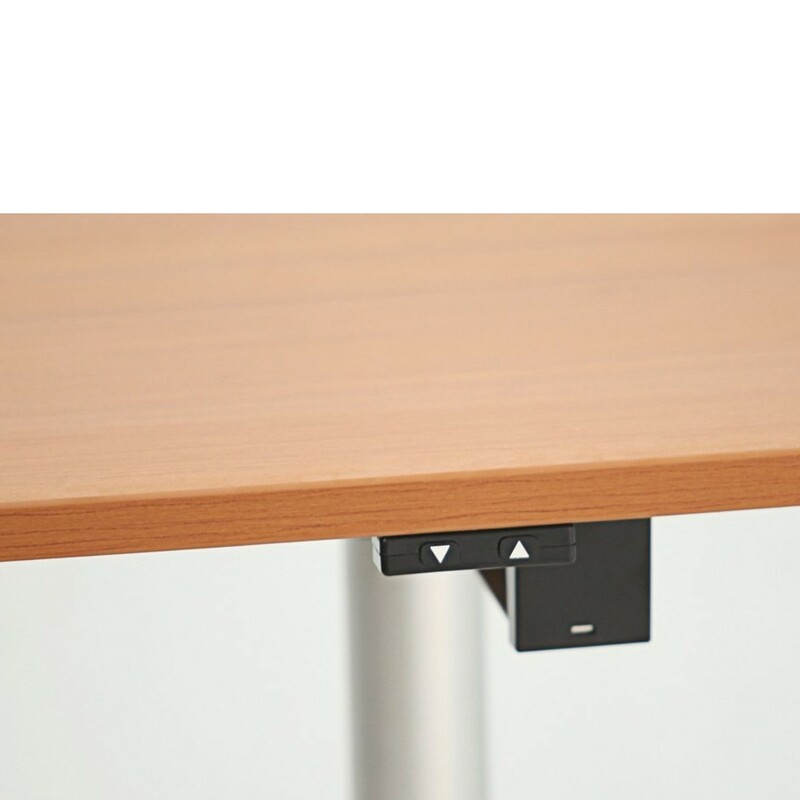 As a safety feature, the desk will stop automatically when movement is obstructed. 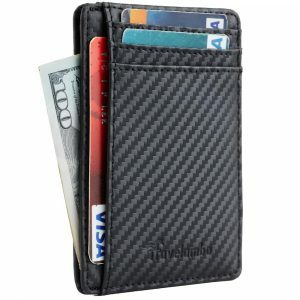 It uses a brushed aluminum instead of steel and achieves 30% more stable and lighter. Although it does require some basic assembly, which takes about a half hour, at 49 lbs it can be moved by most, whereas other models will require more than one person. So, if you can assemble it, it is more economical and offers stability, mobility and good performance. Expert assembly is available. 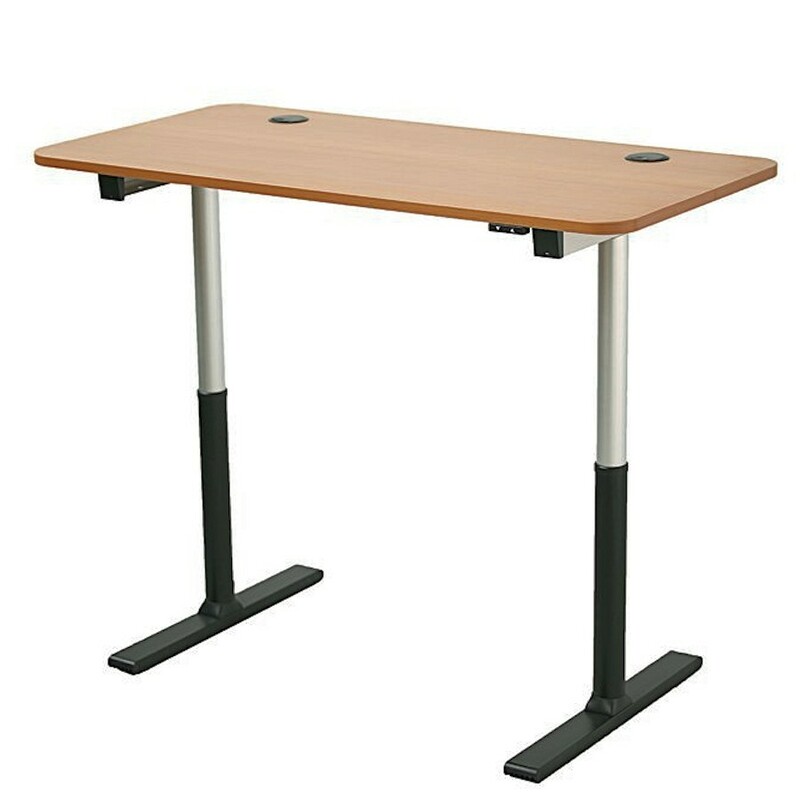 If you do not like to assemble, the variable height desk can be put together easier, but will require two persons for most. If you have a small area and need the 48 inch width, the Varidesk will have that option.